Teachers across the country can no longer survive on the salaries they are offered to do the most important job of all. This is teaching our children the tools and honing their talents in order to have them do well in what is a very complicated world. Teachers are paid on a yearly contract that runs around 185 days. There are many professions that do contracted work. If the contract is for 365 days or 100 days it makes no difference. The important thing is to get the job done and done well. Some believe in the concept of those who do, do and those who can’t teach. I do get a kick out of this statement because those who can do because they were taught how too. 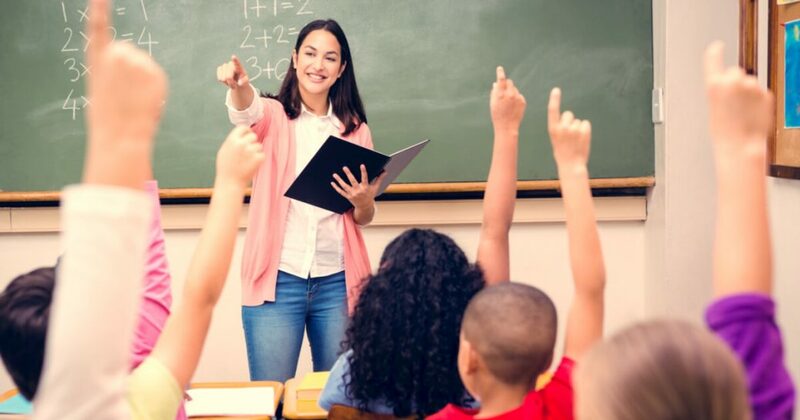 Teaching has always been equated with the success of its students. The profession has never been defined by money even though the ability to live and teach at the same time has always been difficult. I can define teaching because I am a retired teacher. I wrote the following 25 years ago about one of my days teaching. … Yesterday. But, even the greatest of days doesn’t make it any easier to get up at 5:00 in the morning. If only I could get to bed before 11:00 PM on school nights. That would make my life so much easier. With mountains of correcting being precipitated every day that possibility is basically impossible. So here I am, shocking myself awake with a cold shower so I can stay alert for the approaching new day. I’m off to work before 6:30 AM because it is critical to arrive at school at least 45 minutes early to complete any final preparations for my classes and to see if there are any further reports due for either the administration or the many guidance and special education departments. I run down to the teacher’s room to make some copies of problem sheets to be worked on by some of my classes. The copy machine sometimes doesn’t work and there is never enough paper to complete the task. I once complained and was told I use too much paper. I should try to conserve on supplies because the town’s people are threatening to lower next year’s supply budget, again. I try to explain that I use a lot of copying material because I don’t have enough text or lab books in some of my classes. By this time the office decides to ignore me for, after all, I am only a teacher. The busses arrive. In come the numerous students ranging from age 12 to 21. Their entrance is noisier than a Fenway crowd. They are young and youth by definition is synonymous with energy and vitality. A day never passes when I don’t see one or more of my students with their eyes dilated because of some drug or alcohol abuse. I desperately try to reach these children in the hopes I can convince them to leave their bodies alone and give their minds a chance. They rarely answer me and only turn away for after all I am only a teacher. The day ends like it began with many of my students displaying the same amounts of energy they showed when they arrived. I look around my room and see various pieces of crushed paper on the floor and in the desks. I know I can’t dally because I usually have a faculty meeting or a department meeting that discusses the deep cuts in our budgets. School boards across the state and the country exclaim that their towns can no longer budget any more money into education. As I finish cleaning my room and the last of my students leave, one of my students enters and explains what I taught her about biological relationships between young men and women made a decision she had to make easier. As she was leaving my room she turned and thanked me for being a teacher, her teacher. Don’t trust Kanye WestAt the Twilight of Liberty?